This little section of Oak Cliff is a breath of fresh air in Dallas. 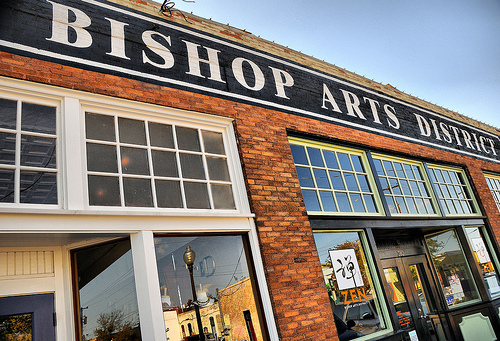 Bishop Arts District is a hidden charm with lots to do! It’s as small area that is more than easily walkable and is near other Oak Cliff attractions like the Kessler Theater. It is also unpretentious yet stylish. With lots of eateries and some retail shops, this area is defined by independent and largely unique businesses. From vintage antique shops, to clothing botuiqes and art galleries; there’s something for everyone! Don’t forget the #UrbanStreetBazaar on April 12th and 13th!